A new report from KGI claims that contrary to recent reports, all of Apple’s 2017 iPhone models will feature a wireless charging component, with both the tenth anniversary iPhone 8 and the iterative iPhone 7s / iPhone 7s Plus able to be charged without a cable being plugged in. 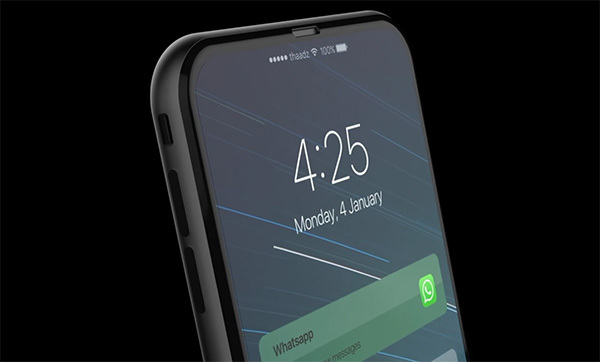 Previous reports over the past week or so had suggested that the new wireless charging feature would only be available on the highest-end iPhone to be announced this year, with the so-called iPhone 8 set to be that handset. 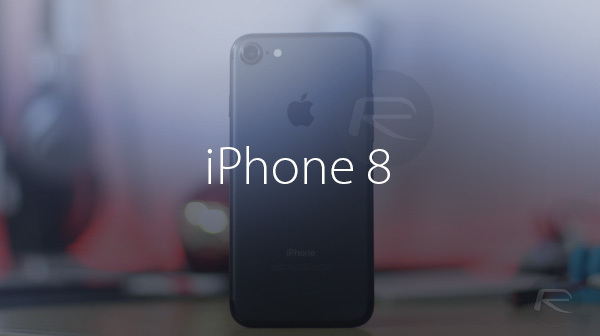 Apple is celebrating the iPhone’s tenth anniversary this year, and the iPhone 8 is believed to be a souped up iPhone capable of celebrating that occasion. Wireless charging was said to be one of the big selling points of that new iPhone, but according to KGI, all of this year’s releases will carry the feature. There may also be some insight into reports that the iPhone 8 will cost upwards of $1,000 when it goes on sale alongside iPhone 7s and iPhone 7s Plus. According to KGI, the additional heat generated by a wireless charger will require the 3D Touch sensor to be better protected, with a graphite sheet set to laminate the sensor by way of that protection. This, according to KGI, will see production costs for the part skyrocket, with Apple expected to pass those additional costs on to the customer. That additional cost will apply to all iPhone models launched this year if KGI’s wireless charging claims are accurate, but with the iPhone 8 already set to pack the highest quality technology, the addition of the new graphite sheet may be enough to push that particular handset above the $1,000 mark. No matter how many iPhones Apple announce this year, we can now expect at least three to arrive around September time. Rumors have four models launching across different size classes, so 2017 may be the biggest year for the iPhone since 2007. Good thing I’m finally switching to android come s8 plus, been a huge iPhone fan owning them since 3gs days but after being with apple this long and experiencing their practices first hand I’m willing to jump ship especially after trying s7 where android shocked me at how it has matured since s4 days. Appropriately priced devices loaded with countless features, Root-able out of the box not to mention can be flashed with any ROM which is a huge plus for any power user and can be tailored in and out to a user’s preferences unlike iOS that look alike with hopes of jailbreaks to add a hint of flavor. Hope Apple eventually opens up iOS a bit so we can actually do what we want with our devices without further restrictions. I agree with you. I had an i7 on launch day and got a refund 2 days later. £800 for the 256gb i7 was scandalous but to ask for more because they “can’t do wireless charging good” is a poor excuse. My s7 has wireless charging and never gets hot. However even though I have updated the s7 to android 7 I still get random battery drain for no reason at random. Even when the phone isn’t touched. Google play store has stopped working errors, application x has stopped, it’s still not quite out of beta and it’s been around for 7 off years. 32gb of storage is too low and SURELY we will see 64 or 128gb as standard with the s8 next month. Not sure about the issues you faced with the s7 edge but my hands on exp from friends who have owned ithem since launch seemed flawless and more mature and they have nothing but praises for them. Could be luck of the draw? Not sure. Most of the issues you mentioned can be solved with a quick rom flash though including battery issues using modified kernels currently available such as superkernel and superstock. Not sure why you would call android 7 years in beta when it was very stable, more productive, faster to navigate and call for tasks than it was back in s4 days when back then it was junk compared to iOS which im already hesitant to call better than restricted and constrained iOS. Android in it’s current state is a breath of fresh air for this long time iphone owner. Amen to that, Apple needs aggressive competition to up their game so we customers can enjoy actual technology from both worlds as opposed to rehashed tech/gimmicks and mere spec bumps. I actually loved my s4 too. Might have to go back to android later this year. Idiots…i got t mobile 256 gig iPhone 7 Plus with unlimited data and tethering for $55 a month….i can upgrade to iphone 8 when it comes out for only $200 more…. So Apple gonna jus pass that down to consumers but they not gonna slow down taking money or doing the favor of keeping prices at a good level…. Your point being? Anyone can get these offers as most still hold to their unlimited plans and have plans that cover step ups your useless comment contributes nothing to the debate other than clutter it with drivel. Not everyone likes the same car, food, clothes, jokes and phones thank god else we live in one boring world. Calling others idiots just because they have an opinion/taste other than yours only shows your imaturity and short sightedness not to mention a sh1tty personality. I’ve had Samsung Galaxys to Nexus 5x and 6P to Motorola pure editions and below and I keep find myself going back to iPhone. There’s things I like about both platforms and things I don’t like. We all know what they are. If I were to try android again I’d definitely get the pixel. Just like iPhone you’ll always have the latest os the instant it’s released and that’s what important to me cause of security fixes and of course new features.